Babolat French Open All Court 6 Can Pack . 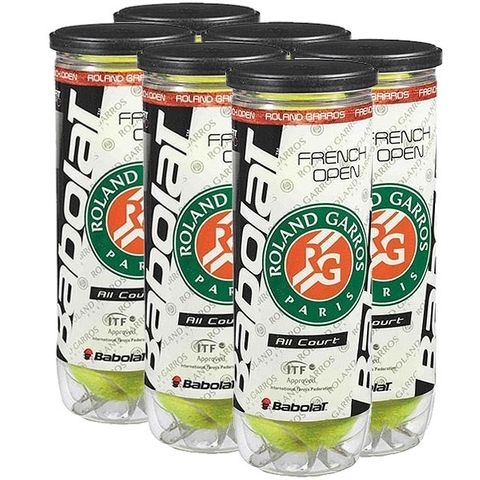 The Babolat French Open All Court tennis balls are premium high-grade regular duty felt balls designed for use on all types of playing surfaces. They provide excellent durability and feel. The official ball of Roland Garros. USTA approved. Dimensions L1 in. x W1 in. x H1 in.